Reclaim your youthful appearance with Radiesse®, a revolutionary injectible filler which uses calcium hydroxylapatite (CaHA) “microspheres” to naturally smooth fine lines and replace facial volume by stimulating your body’s own collagen production! Unlike other “unnatural” fillers that provide only temporary solutions, Radiesse® works with your body to create real, noticeable, natural changes in the way you look and feel. 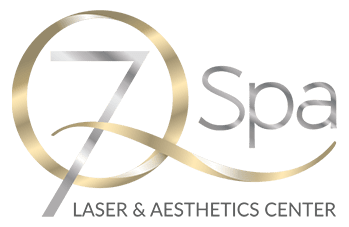 Become a more beautiful you; call 7Q Spa Medical Center today for more information on the best fillers and injectible treatments in Glendale. Radiesse® is a sterile, latex-free, non-pyrogenic, injectable dermal filler comprised primarily of calcium hydroxylapatite (CaHA) “microspheres” suspended in an aqueous carboxymethylcellulose gel. When injected into the skin under “problem areas” like the nasolabial folds and “marionette lines” that run from the corners of the mouth to the chin, Radiesse®’s unique formula helps smooth moderate-to-severe facial wrinkles and can provide treatment of facial volume loss from aging or due to immunodeficiency infections. Collagen, which occurs naturally in one’s skin, is what makes our faces appear smooth, firm, and youthful-looking. The collagen begins to break down as our bodies age, however, increasing the prevalence and severity of wrinkles, facial lines, and “dropping, tired-looking” skin. Radiesse® works first to diminish the appearance of fine lines and wrinkles by adding volume to the face, then continues to stimulate the skin’s production of natural collagen over the next year. In time, the Radiesse® gel breaks down and is absorbed and the body, leaving behind your body’s own skin-tightening collagen.